Note: This made a pretty large quantity of curry for about 6-8 people. You can certainly half the entire recipe to make it for a smaller crowd. 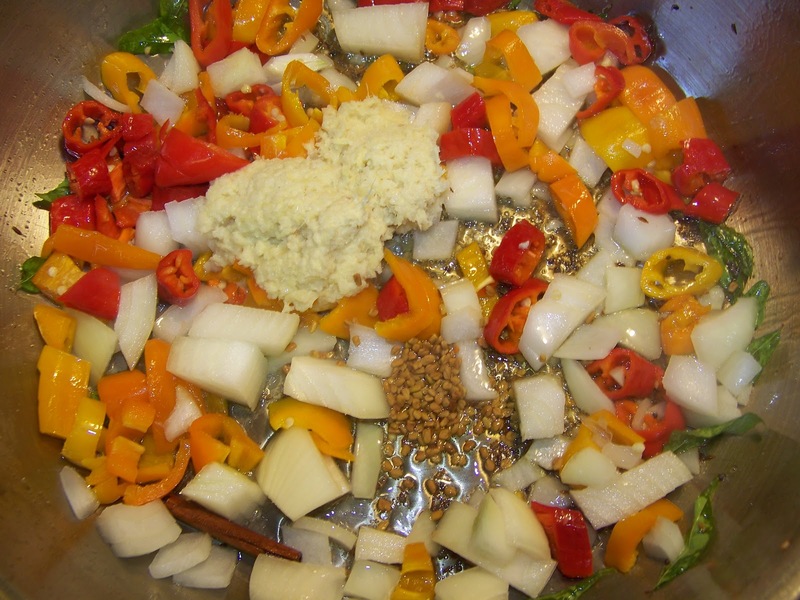 In a pan heat up your canola oil on medium-high heat. Add your curry leaves, cinnamon stick, cumin and mustard seeds. Fry for a few seconds until the mustard seeds start to pop. 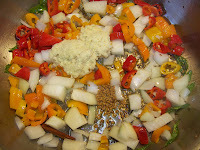 (do not burn) Then add your onion, garlic/ginger, peppers and fenugreek seeds (if using). 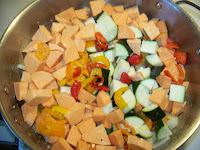 Next add your cut up sweet potatoes and zucchini. 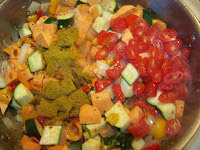 Then add your curry powder, chili flakes, salt and diced tomatoes. Saute for a minute. 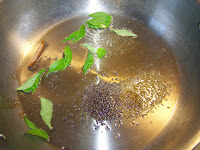 Add your water and bring to a gentle boil. Cook until sweet potatoes are cooked through (but retain their shape). 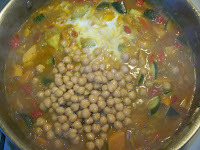 Then add your coconut milk and chickpeas. Boil for another 2-3 minutes. Taste for seasoning. Finish off with some lime juice. Enjoy with rice, roti, naan etc..
Looks so delicious. I would go for this on a rainy day like today! 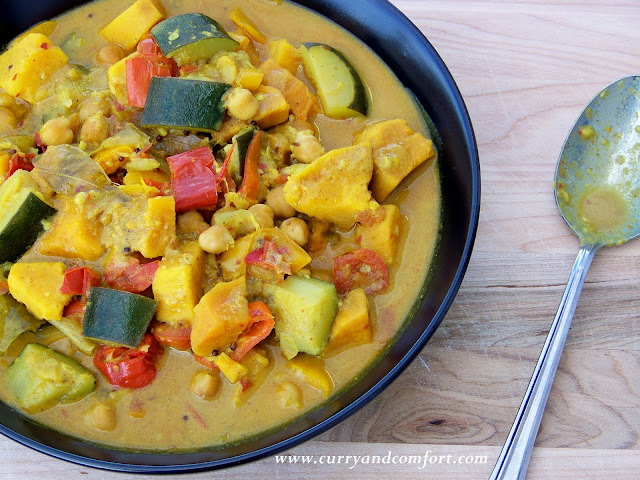 Mmm, this has all my favorite curry veggies in it :) Looks wonderful and fragrant! 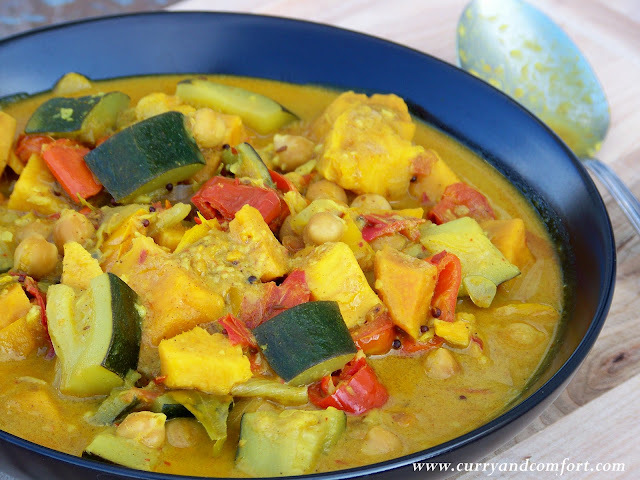 I've never had zucchini in a curry before, I bet it works well. What types of places might I be able to buy curry leaves? This looks so delicious by the way! Can't wait to try it. Looks so good. A big bowl of this is so comforting! That's just lovely--and love the green that the zucchini adds to the dish! WOW!! Apparently I need to add more sweet potatoes to my diet. I think I probably buy 2 pounds of sweet potatoes all year! I just never think to cook with them! OMG, I am so coming over for dinner! :) You should write a cookbook. Seriously! You've made a good dent in your potato stash! This curry looks so delicious. 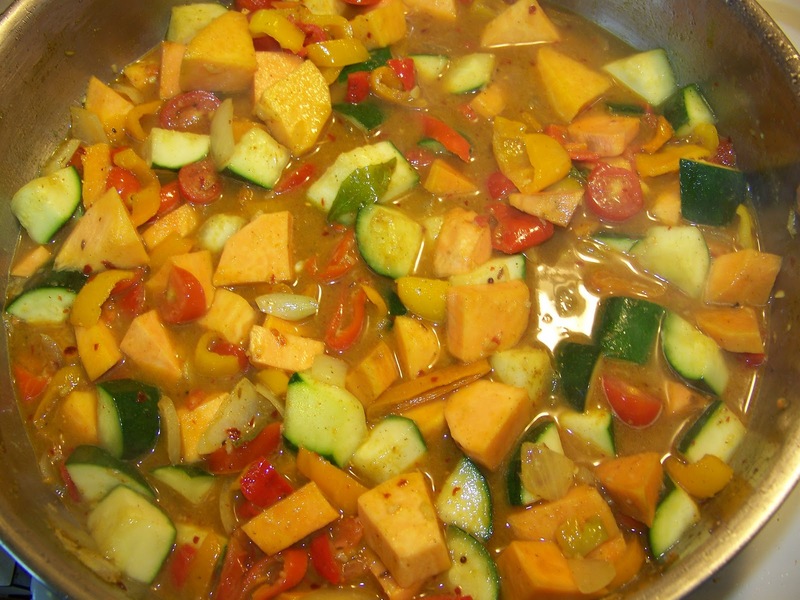 I've never tried sweet potatoes in a curry! U want to lick that spoon! I am not a sweet potato fan but this could change my mind I think. I once bought 60 pounds of apples. Long story. Lol! 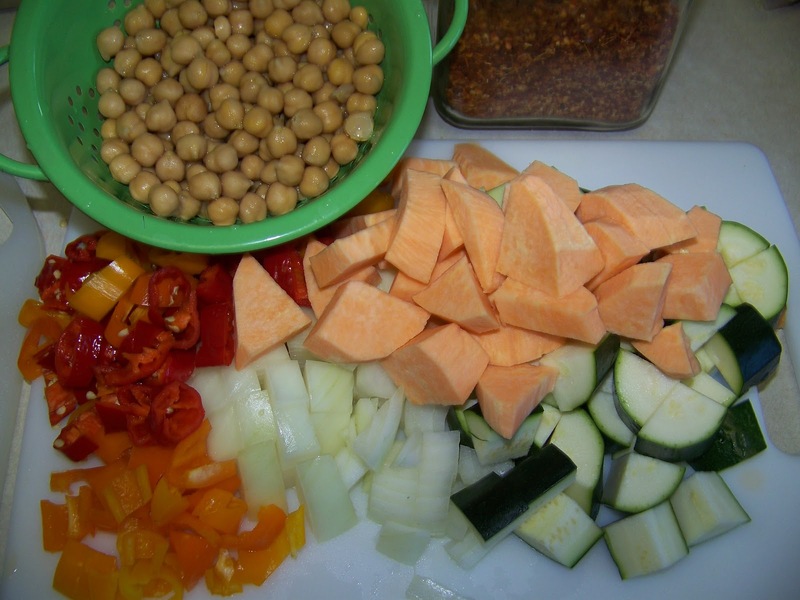 This looks delicious....and you got to use up more of your sweet potatoes! 12 pounds? With a recipe like this, they will go fast. Your sweet potato stash is really dwindling! This is a dish I'd like to snuggle up to on a cold day with lots of naan to go with it.